Well there’s been considerably more F words added to the relationship since I wrote that, because in all my excitement with shhchhhh-sounding plants, I splashed out on freesias, too, imagining a splash of delicate colour as the two lots of F girls met and mixed in the beds and baskets I put them. Because not one of them has survived. What in tarnation was this major hardware store’s garden staff doing putting stacks of pendulous fuchsias and delicate freesias out in prime display to tempt customers in January! Catching fools like me, of course. In the searing heat, it was probably the dumbest choice and timing I could have made. Despite their ”heat hardy” label, they all curled up and perished, no matter where I put them and what tendering I did. Sad, ugly brown leaves and dead stems mocked all my dreams. I lay bare this episode of gardening stupidity because (misguided) friends who think I’m an expert with plants, say they don’t bother with gardening because it’s just all too hard; that I am so much more informed and adept, I could never understand their level of incompetence and lack of confidence at it. Well, hello. Fess up time. I have picked all the wrong roses for our climate and in five years with 10 bushes, I have had about a dozen blooms in total, regardless of how much blood and bone, feed and love I give them. I planted the African tulip tree too close to the poinciana and they are fighting for light and space – and competing orange flowers. Cocos palms we put in around the swimming pool make our life hell with seed and blossom drop and now they’re so tall we can’t reach to trim dead fronds and remove the seed bunches. 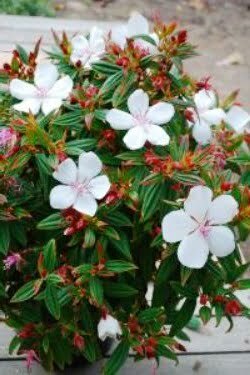 I have had four attempts to grow a ” sturdy” white Tibouchina ‘Peace Baby’ in a pot and still fail. Hellebores in the shade under the frangipani seemed a lovely idea, but it’s a losing battle so far. Coriander and sage just refuse to live in my world. 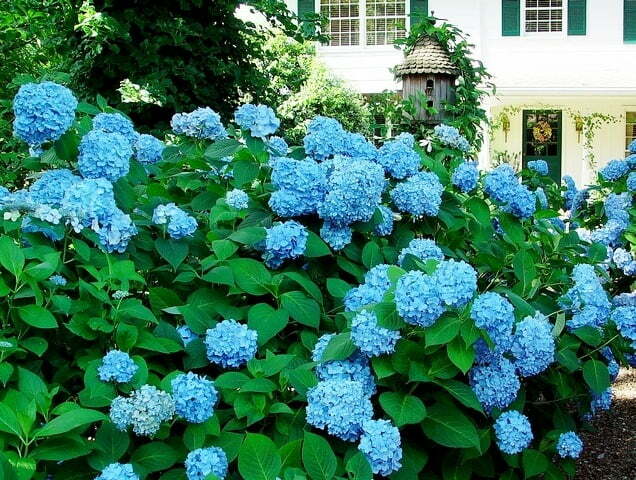 Hydrangeas wilt and shrivel wherever I put them. I am on my third try to strike a piece of the hardiest vine known to mankind – the golden chalice – which a friend has growing rampant. 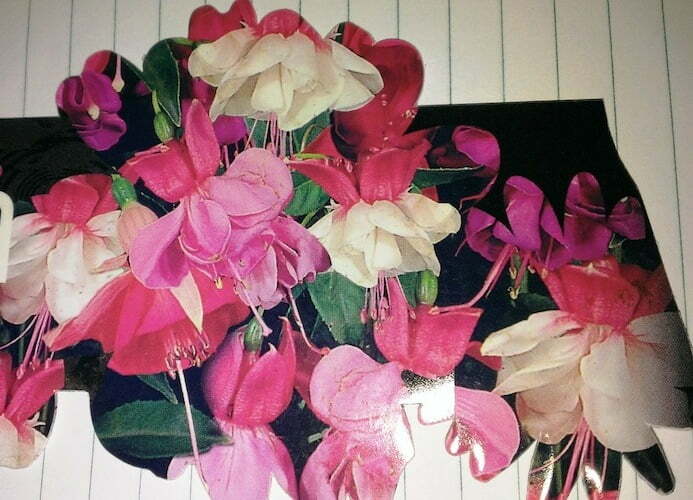 I have been know to kill impatiens – the common everyman perennial. The daphnes I bragged about making a scented driveway entry, have all died, despite the best preparation, care and attention I could muster. 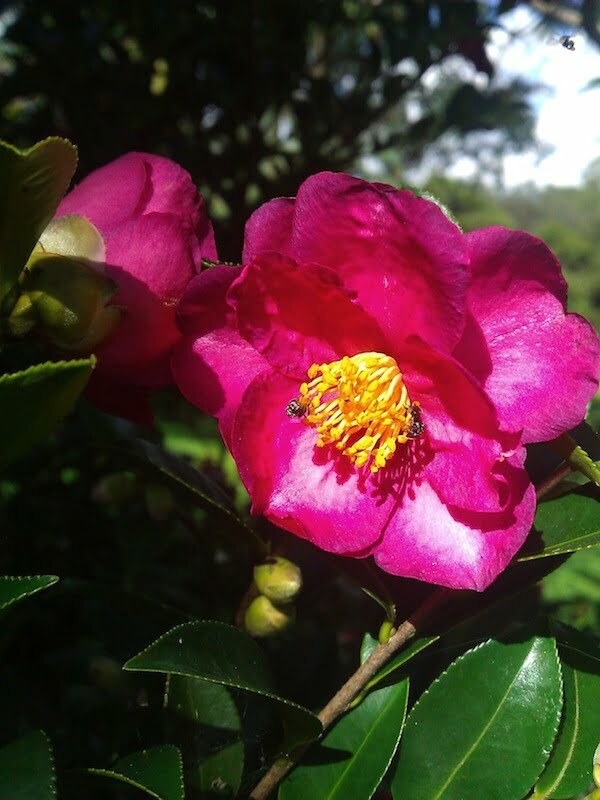 The so-called hot weather hardiness was just not robust enough apparently – or some mysterious bad chemistry between them and me prevailed. There is always something fungus or “pesty” on my cycads no matter what I do to them. Like my reluctant friends, I too remember being intimidated by all that I didn’t know about gardening. I have over reached and shrunk back. But something kept me at it. Being around people who had “green thumbs” helped, because they dispensed snippets of wisdom about soil, watering, striking, feeding, placement in small bites – and I could apply it in manageable doses. With each small success, confidence grew. My advice to those wary of gardening is just start. Garden wisdom grows from the first dig. 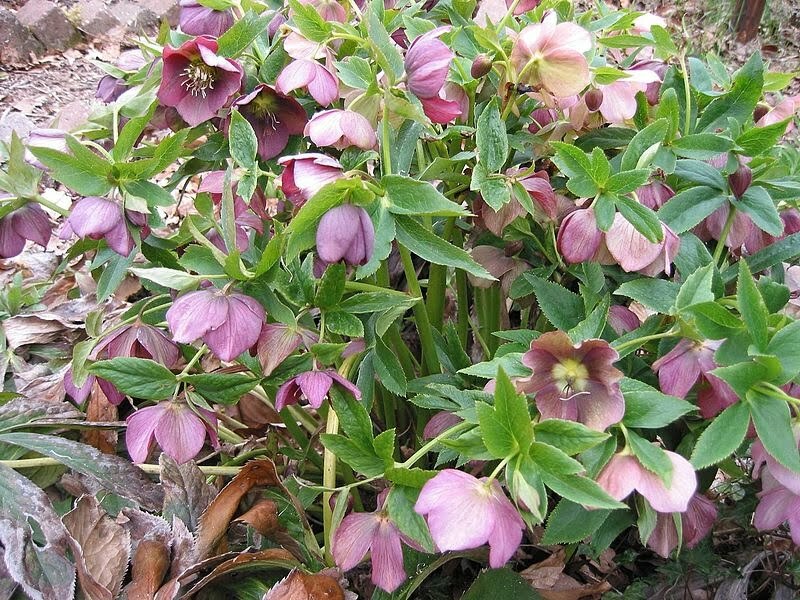 Begin with a few pots – or one small bed of colour or a shrubbery. And when the successes outnumber the failures, you are on a roll. If you let it, gardening will take your heart and soul and give you a reason to get up every day. It will soothe you, delight you and revive you. Walk in lots of gardens. Look, smell and touch. I used to baulk at going to grand, beautiful show gardens, places that I thought would make me feel inadequate and mine would look pathetic in comparison. But I love visiting them now, because I get that every garden has its beauty both in small patches and grand designs. And there’s a garden osmosis at work. I delight in getting even just one idea from a visit – whether it’s a new composition of colour, or undergrowth design -or where to put a birdbath. And the feeling it leaves me with …. Now that’s an F word I do use a lot in the garden! Julie, I share your sorrow at your losses. Scrolling through your list I noted some familiar names of plants that once rented pop up space in my garden too. My saddest loss was the Peace Baby Tibouchina that I had bought whilst in Qld in August. That quickly died and I haven’t been able to source another one in Sydney. Yes I’ve lost Daphne, Sage, tropical hibiscus, Kangaroo Paws, hydrangeas as well as a stunning Fuchsia that succumbed to the intense heat. On a brighter note, our Camelia hedge finally decided it did want to live with us and has bloomed like crazy, only took 8 yrs though! I agree about the Open Gardens, I can then enjoy the plants that simply won’t grow in my garden! Happy Gardening and thanks for your enjoyable blog. Losing plants is always perplexing, particularly when you know you’ve planted as suggested to a T. I’m creating a native back garden and have lost almost every grevillea planted and cared for as instructed; either just slowly died or been infested with a particular insect (black with the curled up tail, only found on the grevillea). Grevilleas just don’t like my garden and I won’t plant any more! Phileppa, I used to lose every Grevillea, but then started buying them as very tiny plants, repotting them into my mixture of soil and keeping them under the trees in the rear of my garden which gets dappled shade. Once they were bigger and stronger they went into the ground. Success at last and I now have at least 6 that are not only flowering on a regular basis but also attracting birds and native bees. Thanks for you advice. Most of the grevilleas were 8″ pot size when planted but when I removed each, and every, dead plant I found that the roots hadn’t grown since planting and in fact were barely there. I wonder if I have something in the soil which is just eating grevillea roots. I frequently find those fat white worms in the soil; in fact wherever I dig. Hadn’t considered them but now wondering? I’m in Goulburn, NSW. Great to read about your sucesses and failures! This is part of the fun with gardening..it’s all learning! Many of the beautifully scented flowers I loved down South (Daphne,Boronia etc) of course didn’t have a chance up here, but I discovered many other plants, flowers up this way that were different, but enchanted me just as much. I’m a sucker for fragrance, so I have three types of Jasmine, one sweet Osmanthus,and two Cestrum Nocturnum..which knocks my socks off during Summer!! Playing around, seeing what grows, what grows well, and what doesn’t is all part of the fun…learning so much everyday!! 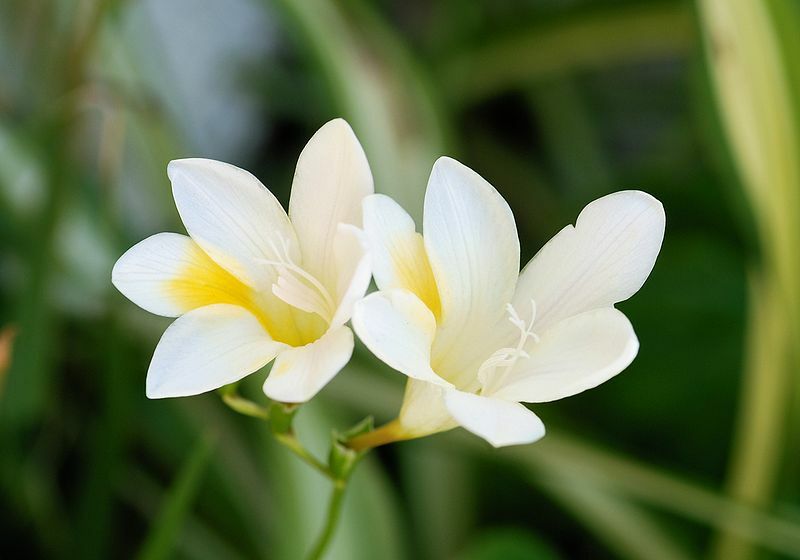 My next little experiment will be planting Freesia Bulbs(Refracta Alba), something I assumed was only meant for the South…so fingers crossed!! Thanks Annette. I too love the Centrum nosturnum, but mine doesn’t have near the perfume strength of a friend’s ..must depend on where it’s planted. Good luck with the freesias …… and if you succeed, share your dirty little secret with me, please.